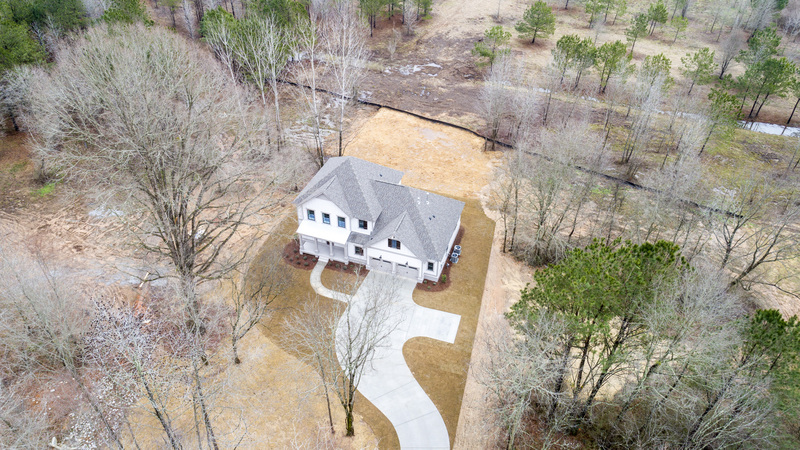 Do you dream of owning a home on a beautiful piece of land where you can have horses, build bonfires under the starry night, have plenty of space for the kids to play outdoors, or simply walk down for a swim in the Cahaba River? Cahaba Farms offers 10 executive style homes on estate size lots and opportunities like this don’t come around so often in metro Birmingham. When seasoned land developer and homebuilder, Price Hightower, scouted this unique property located off the Happy Hollow Rd and Trussville Clay Rd, in Trussville, he knew that Cahaba Farms would be a one of a kind community, that would allow its residents to live a relaxed lifestyle among beautiful surroundings in Trussville. 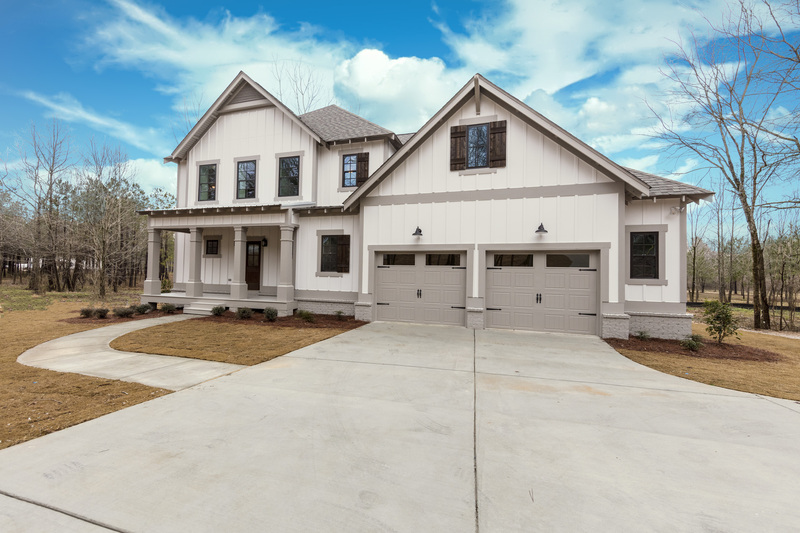 The executive style homes available in Cahaba Farms feature floor plans with 3-4 bedrooms, chefs style kitchens, screened porches, and some offer finished basements. The farmhouse style exteriors are accented with painted brick, cedar beams, board and batten siding, and front patios that invite you to have a relaxing cup of coffee in the morning. These Tower Homes selling in Trussville showcase our popular modern farmhouse style married to highest building standards and the latest in energy-efficiency. 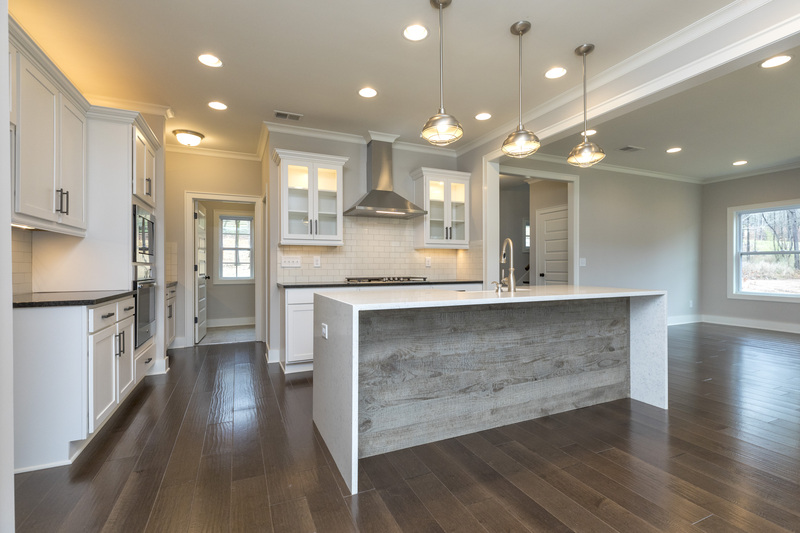 The Cahaba Farms model home pictured features hardwood floors, open concept kitchen with farmhouse sink, subway tiles, and oversized quartz waterfall island that makes providing southern hospitality a true delight. Look inside this model home and you will see more interior architectural details we offer such as distressed wood vaulted ceilings, shiplap walls or barn doors, all adding to the warm farmhouse feel of these premium homes for sale. Screened porches call for a weekend party while watching your favorite team scoring touchdowns or enjoying a glass of wine at sunset above your 2-3 acre backyard. Tower Homes is proud to present the unique opportunity to own one of these executive style homes on estate sized lots in Trussville. At the time of this post, 2 of the 10 homes are finished and available to move in. Tower Homes Agents host an Open House at Cahaba Farms each Saturday and Sunday from 2 pm-4 pm. Call them today to schedule a private showing.